Visit Chinatown Boston and be transported to another time and place, a vibrant neighborhood full of history, amazing culture and fantastic restaurants unlike anything else you’ll find in New England. Boston is home to the third-largest Chinatown in the U.S. and is perfectly situated near the city’s downtown area and Financial District, making it an easily accessible and walkable area near plenty of Chinatown Boston apartments just outside Boston Common. 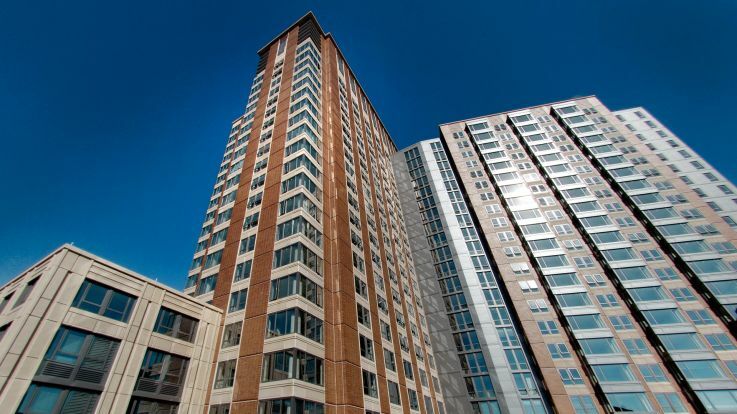 Spanning as far north as Boylston Street and as far south as Marginal Road, encompassing Tufts Medical Center in its entirety, Chinatown is a fantastic location to live, work and play. Landmarks like the iconic Chinatown Gate and Park are situated near modern Chinatown Boston apartments and close to planned developments along Hudson Street and beyond. Historic spots like Ping On Alley between Oxford and Edinboro streets, considered by many to be the birthplace of Chinatown and the historic home of the 1878 Chinese immigrant-inhabited tent city, can still be seen today, as well as Oxford Place, where Boston’s first Chinese immigrants lived afterwards. Historic and modern street art lines the streets, teaching visitors about the neighborhood’s past and looking brightly into its future. The food in Boston’s Chinatown can’t be beat, and you won’t find anything as authentic and - in most cases - as reasonably priced as you will here. Just outside Chinatown Boston apartments are the city’s most scrumptious dumplings, Peking duck feasts, fresh seafood dinners, mouth-watering filled buns, bubble teas and baked goods, all made fresh daily by some of Chinatown’s most interesting residents. Many of these hidden gems are located down side streets and alleys and are cash-only, which only adds to the neighborhood’s authenticity. The sights and smells of the neighborhood may be confusing to navigate at first, but provide a delicious end reward for those determined enough to explore. Highway transportation in Boston’s Chinatown - once a point of contention, as it was built through an existing neighborhood and existing businesses - today provides convenience for people going in and out of the area. Whether visitors are using I-93 and I-90 to travel from other cities, or hopping on local buses and the Orange Line near Chinatown Boston apartments, it’s easy to get around and experience everything Boston’s most vibrant neighborhood has to offer.